The Diaz School of Piano is unique in comparison to traditional piano instruction. 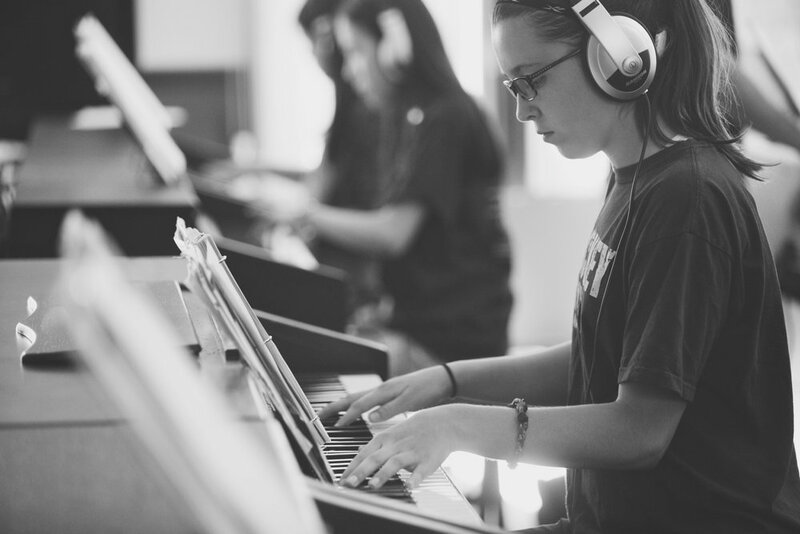 Students are equipped with the ability to read and play traditional classical music as well as contemporary, blues, and pop styles. Through a pattern-based approach, students will grow in their ability to improvise, arrange, and compose pieces in new and original ways. All of this is achieved in a social setting, where students take classes together and get to share their growth, challenges, and successes with one another. This fun and encouraging environment gives students motivation to learn piano skills that they can take from the studio to share with their community. Learning to play piano at a young age provides the benefit of carrying those skills for life. 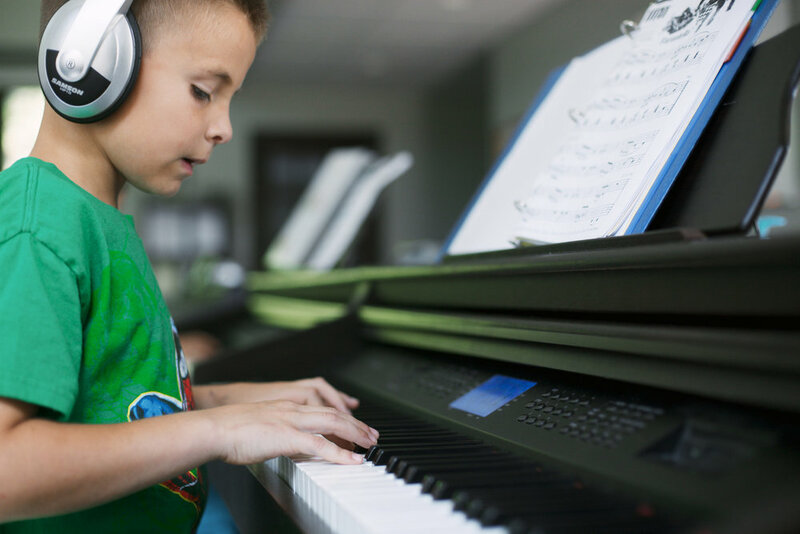 Elementary classes provide and build on basics of piano playing and encourage students to grow in confidence of their skills through performance time and recitals. 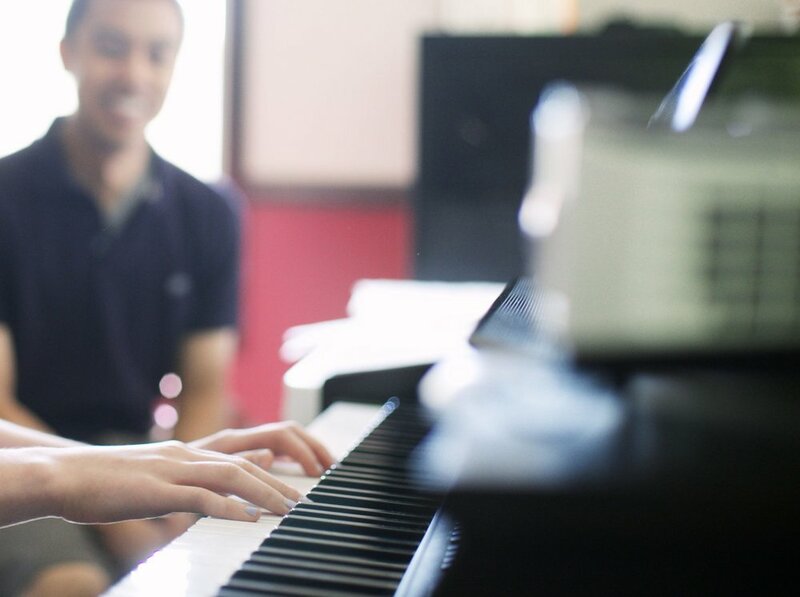 Middle and high school students who are new to piano as well as those who have years of experience are invited to develop and grow their skills with other students their age. It's not too late to start - or to start again! Introductory and advanced classes are available for the adult student who wished they had kept learning the piano, or wished they had started years ago. Introducing: Mary Gossell, New Instructor at DSoP! FAQs: What do lessons cost, and what does it include?